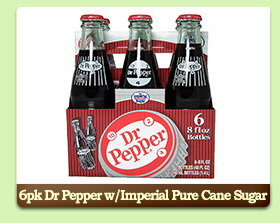 SAVE 10% OFF OUR EVERYDAY LOW PRICE ON ALL GLASS BOTTLE SODA!! 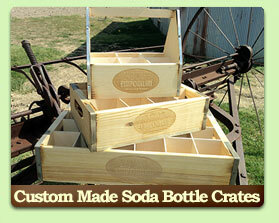 USE COUPON CODE "BOTTLE" AT CHECKOUT OR SAVE 5% OFF UPS SHIPPING WHEN SPENDING AT LEAST $10 ON YOUR SODA PURCHASE!! USE COUPON CODE "UPS" AT CHECKOUT. 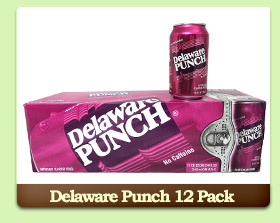 Welcome to your source to buy soda pop online and hundreds of hard to find beverages! Soda-Emporium offers an extensive selection of nostalgic and gourmet sodas, energy drinks and flavored waters produced in the U.S and around the world. Let our online soda shop help you reconnect with your favorite beverages from back in the day and explore new beverages to enjoy with friends or find that perfect gift for someone who has everything. For our collectors, we have a full selection of bottles to fill your vintage soda machine or collectibles to add to your collection. 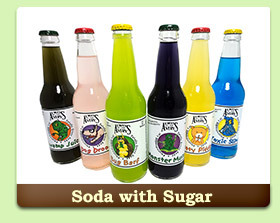 Become part of our burgeoning soda community and order soda online worry free!